1200 Club at the Holland Performing Arts Center, 1200 Douglas St.
Shemekia Copeland has earned her place as a contemporary blues star. Her performances are full on, no holds-barred and delivered with a powerful, sparkling stage presence. In recent months her latest disc Outskirts of Love (Alligator) has won her a Grammy nomination for Best Blues Album and three nominations in the prestigious Blues Music Awards. Copeland was honored with nominations including Contemporary Blues Female Artist Of The Year, Contemporary Blues Album Of The Year and the career-defining, usually male-dominated B.B. King Entertainer Of The Year award. 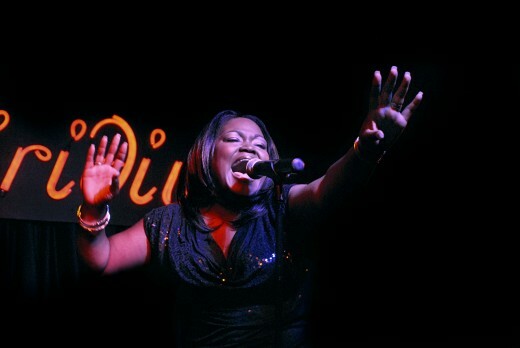 USA Today says, “Shemekia captures the timelessness of the blues while spinning it forward with remarkable maturity.” In fact, Copeland is now an established second-generation blues musician who began her solo career in 1998, following the path of her father Johnny Clyde Copeland, a respected bluesman. She made her stage debut at the historic Cotton Club with her father at the age of eight and by the age of 16 she had joined her father on tour, as his health suffered due to a failing heart. At the 2011 Chicago Blues Festival, the City of Chicago and the State of Illinois officially declared Copeland to be “The New Queen Of The Blues,” a lifetime honor passed on from the late Koko Taylor. See shemekiacopeland.com.